The buzzwords ‘mediation’ and ‘mindfulness’ have become so popular they have overtaken ‘kale’ in a bid for health! Excuses for not engaging in meditation are however a plenty! The two most common excuses I hear are “ I don’t have time” and “I can’t stop thinking.” If you don’t have 4 minutes in a day to look after your mental health then quite frankly you need more help than most! As for not being able to stop thinking, unless you are Yoda this is more doable than you might think! Mediation is not a self-indulgent fad designed for the whimsical. During the Olympics a Buddhist shrine was erected to provided athletes with a space to meditate and focus prior to performance. Imagine how focused your day could be with 10 minutes of “down time” before the energy and impatience of London kicks in. 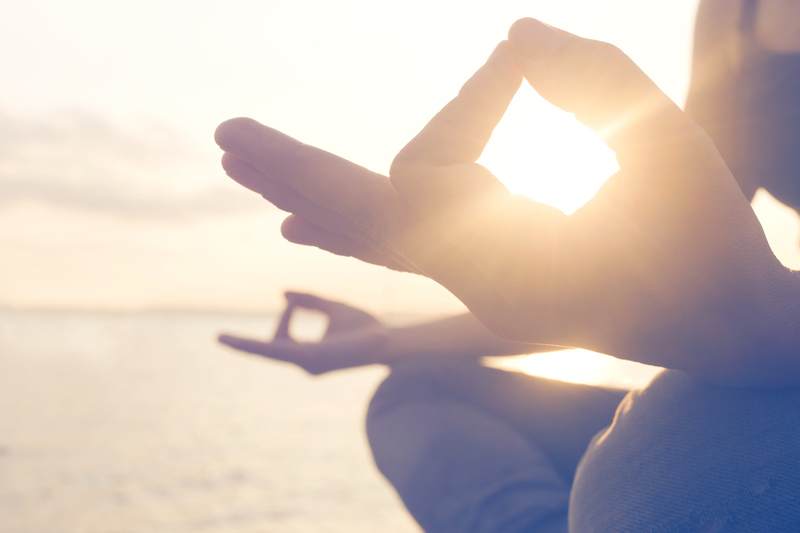 There are scores of literature demonstrating the positive effects of meditation. These include enhanced self-esteem and self worth, improved gut health and healing, increased mental focus and reduced stress levels. 1. Sit. Anywhere. You might be crossed legged at a Buddhist shrine or on the tube. 2. Close your eyes. Be aware of the sounds around you and slowly imagine everything becoming quieter. 3. Bring awareness to your breath. In your head say “1” every time you breath in and “2” every time you breath out. You are not trying to stop your thoughts at this point. Let your thoughts role like credits to a movie in front of your eyes. You get to decide what you become attached to. Every time you breathe out, let the thought go. There is always time. Facebook can wait 2 minutes. Your Whatsapp won’t implode and that ‘must have’ object you want to order online will still be there. If you are emotionally attached to your phone why not put it to good use and try one of the mindfulness and meditation apps. I would strongly recommend “Calm” or “Headspace”. At Beyond Health we believe that a careful balance of physiological and age appropriate exercise combined with a healthy eating plan should be matched with restorative practices such as rest, meditation and good quality sleep. This all encompassing approach provides physical and emotional resilience to the demands of everyday life AND prepares individuals, at any age, to challenge themselves in the pursuit of the activities they love. We hope this simple overview helps you get over that hurdle to give meditation a go! Faye Burge is not only a superb physiotherapist and moveBeyond instructor, she is also a fully qualified yoga teacher. When appropriate Faye integrates her yoga and meditation practices into her treatments and has huge amounts of knowledge to share in these areas! 23/04/2018 Avoid DVT and recover better with compression socks that actually work!! 21/03/2018 Strong and BIG…….or just Strong?